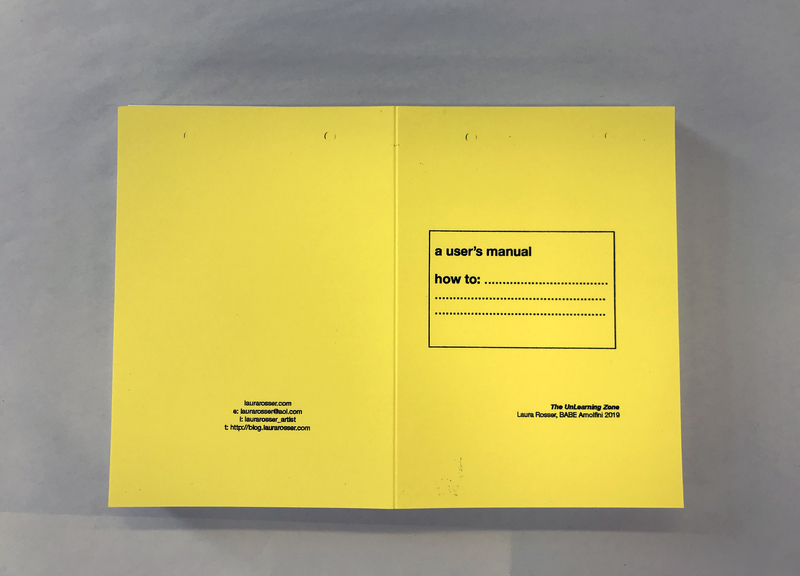 Laura is performing a new work ‘(un)Learning Zone’ at BABE (Bristol Artists Book Event) on 30th and 31st March 2019. The mobile (un)learning zone will move around the artist’s book fair offering participants the opportunity to unlearn. A take on the library zone, Laura will create errant instruction sets from wiki-how using a 1980’s dot matrix printer. The instructions which fade in and out of meaning have been disrupted using an algorithmic logic, to creatively disrupt knowing.